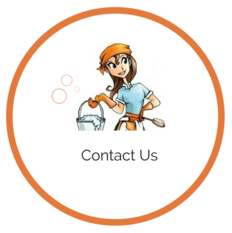 The Cleaning Fairy Ltd is the North East's premier commercial and domestic cleaning company covering Newcastle, Co Durham, Gateshead, Sunderland and Hexham. Our head office is based in Consett, Co Durham and our highly experienced staff are well-prepared to tackle any job that you may have, no matter how large or small. Our aim is to work in partnership with our customers to provide a tailor-made commercial and domestic cleaning service in the North East, in a professional, quality-driven manor.